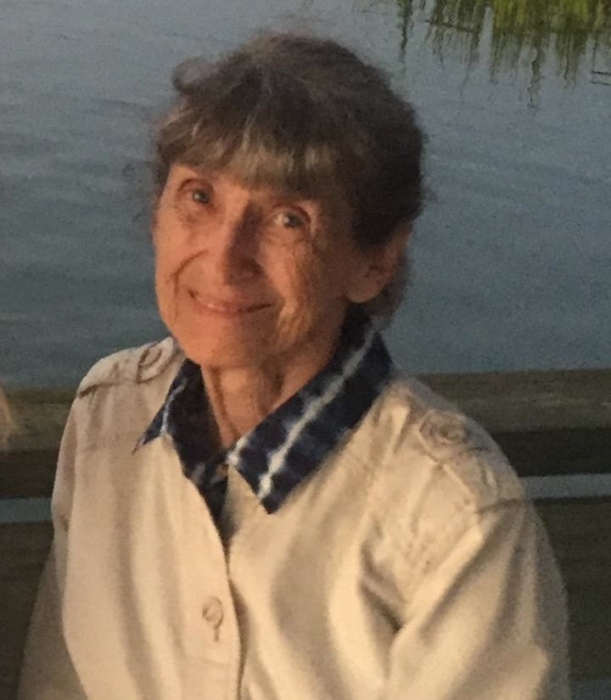 BELOIT - Barbara Wilson McCorkhill, 88, died peacefully on Thursday, March 21, 2019 after a brief illness. She was born at home in Salem, Ohio on July 31, 1930. She was the daughter of James H. Wilson, Sr. and Laura Mulford Wilson. Barbara was deeply beloved by her family who were privileged to be part of the magical world she created. She is survived by her daughter-in-law, Karen McCorkhill of Summerville SC, and five of her children, James (Nancy) Wilson McCorkhill of Canfield, Laura (Marco) Lowry Cantini of Greensburg, PA, Mary Deming McCorkhill (Stephen Harriman) of Miami Beach, FL, Barbara “Buffie” Dhu McCorkhill (Michael Hogan of Chagrin Falls, OH and Charles Grant McCorkhill (Alan Zuber) of Chicago, IL; nine grandchildren, Megan M. (Daniel) Halverstadt of Columbiana, OH, Meryl W. McCorkhill (Tristan Whited) of Columbus, OH, Mallory S. McCorkhill of Salem, Elizabeth D. Lowry of Salem, W. Robert Lowry III of Cuyahoga Falls, OH, Deming King Harriman and Lily Fenn Harriman both of New York, NY, Charles F. Hogan of Chicago, and Brendan M. Hogan of Chagrin Falls; three great grandchildren, Conner and Maisie Halverstadt and Julian Whited; and her first cousin, John Deming Mulford, Jr.
She was preceded in death by her parents, her brother, James H. Wilson, Jr. and her son, Martin Scott McCorkhill, Jr.
One of the great experiences of her life was the time she spent as a teenager at the Ecole Champlain summer camp in Ferrisburg, Vermont. It was there that she became fluent in French as well as an accomplished sailor and equestrian. As a young woman she loved to ice skate and was a member of the Cleveland Skating Club. She graduated from The Emma Willard School in Troy, New York in 1948 and then graduated from Wheaton College in Norton, Massachusetts in 1952, with a degree in history. In 1952 she married Martin Scott McCorkhill, Sr. and together they had six children. She devoted her early adult life to nurturing her children and focusing on her family. After her children were raised, she returned to school and earned a Master of Science in Social Administration degree in 1986 from the Mandel School of Applied Social Sciences at Case Western Reserve University. She worked as a clinical social worker for a number of years. She had a tremendous intellectual curiosity and loved to study the work of Carl Jung and Joseph Campbell among many others. She was also a great lover of reading and writing poetry. She was remarkably skillful at decorating her home, knitting and gardening. She drew great pleasure from celebrating her family and friends on their birthdays and loved everything about celebrating Christmas. She was a kind, gentle and genuine person who loved all people for exactly who they are. She will be greatly missed by those who knew her. She was a lifelong Episcopalian and for a time served as the Senior Warden of the Church of Our Savior in Salem, where a memorial service will be held on Saturday, April 20, 2019 at 2:00 p.m., 870 East State Street, Salem. There will be no calling hours. In lieu of flowers, donations may be sent to Hospice of the Valley, 9803 Sharrott Road, Youngstown, OH, 44514 where she received exceptional care, comfort, and compassion at the end of her life. Barbara’s obituary may be viewed, and condolences sent online at www.starkmemorial.com. There's still time to send flowers to the Memorial Service at the Church of Our Savior at 2:00 PM on April 20, 2019.